We all have our eyes on the ultimate goal, the biggest prize…Al-Firdaus, right? It’s the highest level of Jannah (paradise) – in it what no eyes have seen, no ears have heard and no human has ever imagined. But what exactly do we have to do to attain this lofty and honourable level? Now, Prophet Muhammad said that if we were to ask for paradise, we should ask for its highest level: Al-Firdaus Al-A’la. You know how we always want the best ‘view’ or the best ‘seat’ when we’re in a beautiful, exciting place? Well, Al-Firdaus is the Closest to Allah and Allah is The Source of Beauty. He is The Creator and The Fashioner of all beauty we’ve ever seen and experienced in this world. Imagine everything that ever impressed you: if this is a creation for a temporary worldly life, imagine its Eternal Source, its Creator. Also, Allah is The King of all kings. His Throne extends over the heavens and the earth [Quran: Chapter 2, Verse 255] (what a kingdom!) Imagine those who are the closest to The King… the prestige of those first ranks… the honour! Even more beautiful yet, the Prophet particularly said that above Al Firdaus is the Throne of “Ar-Rahman” (The Continuously Merciful, The Source of Mercy), particularly highlighting this name of Allah. The beauty in the Prophet’s description is that he mentioned how we’ll be the closest to The Source of Mercy and He takes care of you, He takes all the pain away, He removes any suffering or discomfort. He is Al Kareem, The Most Generous, so He knows how to generously take care of those in His protection, those under His Direct Shade. So, not only beauty, but security, ease, peace and comfort. Allah doesn’t discriminate between people. He extends His gifts to literally anybody who seeks. This is not limited to men or women, black or white, or the rich or poor. Al-Firdaus is open to all those who seek, if they work on the six tasks on the To-Do list required to attain it. So, what are those six tasks? Well, Allah told us exactly that at the beginning of Surat Al Mu’minoon. Let’s go over these six actions and discuss how to accomplish them. And they who turn away from ill speech. And they who are observant of zakah. And they who are to their trusts and their promises attentive. Next, we will discuss what Allah says is required to attain Al-Firdaus in detail. Having khushu’ means to be present in the prayer, enjoy the prayer, realise you’re speaking to Allah. This is about the quality of the conversation we’re having with Allah. How would you feel if you’re having a conversation with someone, and they’re not listening or focusing or being attentive and are distracted? Is this conversation deepening the bond between the two of you? Of course not. Well, Allah wants us to have a quality conversation with Him. In conversations, we listen then we speak. That’s what we’re meant to do in the salah. We listen to the words of Allah that we’re reciting, then we speak to Him and make dua asking for everything and anything that we need. Be present with Allah by truly sensing and experiencing the words you’re reciting in prayer. If we recite and reflect on the Fatiha properly, it will transform the prayer experience completely. The Fatiha truly unlocks the hearts and reflects the genuine needs of every human being. It reminds us of our destination, our needs and our fears. All in the seven verses. We’re always making choices and decisions in life. Always. Everyday. In prayer, when we remember that we come from Allah, and our final destination is to Allah, and then when we tell Him to guide us to the most perfect way (which is the best choice, and the best decision), we then truly put matters in perspective and learn how to rely and bond with our Creator. It is a dialogue between you and Allah. It is not a monologue. 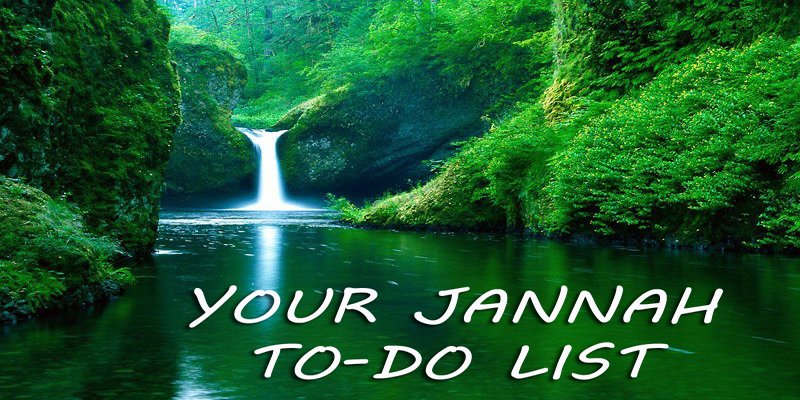 Needing Allah and asking Him for what we need truly helps with achieving concentration. If you’re in a lecture or a meeting with someone important, for example, and you need to ask for a favour at the end of that meeting, you will really try to listen and be attentive to show that you’re worthy of receiving that which you’re about to ask for. So dua itself is worship. We’re supposed to ask of Allah – all the time, every day, for every thing – not only when we need something ‘big’. We never really stop needing Allah, and dua is a reminder of that. It deepens the bond and connection between us and Him. Each of the surahs is a world of its own. We need to enter into the world of the Qur’an. This will help us be present and enter into the mood of the prayer. The feeling that we get when we recite Surat Ad-Duhaa, is not the same feeling we get when we recite Surat At-Takwir and not the same feeling we get when we recite Surat Al-A’la. So let us memorise more of the short surahs, at least, with their tafseer so we can understand fully what we’re saying and experience it. There are many initiatives that help with that. The more we know from the Qur’an, the more we’ll allow Allah to speak to us. He speaks to us through those words. We need to know them by heart, to allow Him and His presence to enter into our hearts and manifest in our prayers. Let us rush to prayer like we rush to tell a friend about our day and about our problems. We get comfort when we pour our hearts out and tell everything to a close friend. It is like a great conversation that you don’t want to end. That’s what we need to do with Allah. Let us enter into the prayer so that Allah would bring us out of the darknesses of our lives and our problems into His Light, because Allah is The Light. This ayah talks about staying away from ill and useless speech and activities – anything that is meaningless, unproductive and doesn’t help in achieving our purpose in life, including slandering, backbiting, lying, cursing and swearing and inappropriate deeds. Why? Because ‘laghw’ is major corruption and harm to the self, others and the society at large. It is a waste of time and a huge distraction from one’s ultimate goal. Bottom line: try not to engage, dwell and get absorbed in that which is meaningless and useless. If someone is training for a high goal, a big test or a big presentation, and they don’t train well and keep wasting their time here and there… will they achieve their goal? Probably not. So, how can we stay away from useless talk? 1. Always ask: is this conversation or activity going to benefit me in my deen and dunya? If not, simply cut it short, keep going, and stay away from it as much as you can. Remember we have a more important goal to achieve. The correct intention can make any deed (that is not a sin) into a reward! For example, if you’re spending a lot of time learning about beauty and make-up, then at least have the intention that this is to beautify yourself for your husband and increase the bond between the spouses – which is a great act of worship. If you can’t help but spend time playing games (ones which are pure, not any that involve immorality or anything inappropriate) or in the gym, then at least take the niyyah that you’re refreshing so you can focus on more important tasks, or that you’re working on your health so you can be strong enough for your worship and your duties towards your family. Basically, put mind into action. Put some thinking and mindfulness to be in control of what you engage in and not let it control and swallow you and your life away. Zakah (almsgiving) is prescribed to us to purify our wealth, but this ayah refers to self-purification as well. We all have flaws in our character and our personalities – anger, bad temper, narcissism, jealousy, the need to lower the gaze, gossiping etc. We all know ourselves. How to actively purify the self? 1. Pick one or two aspects about yourself that you want to change. Write them down or even make a mental note, then start working on them as they occur. Catch yourself when you’re committing those bad habits, take a deep breath, and then leave it for the sake of Allah, for the sake of your destination, Al-Firdaus! Keep reminding yourself of this: “I’m leaving this for Him. I’m leaving this for Al-Firdaus.” The reward is definitely better and more lasting than the momentary satisfaction you experience. Whatever you see and follow will have an impact on your character and your heart. Unfollow those pages that trigger your bad habits.This might be difficult, but you can do it. There are many social media pages and platforms that involve a lot of immorality. Let’s be honest, they might be ‘funny’ or ‘inspiring’, but deep down you know that they have some corrupt content as well: immoral or indecent images, language or insinuations… etc. If we continue to expose our eyes, minds and hearts to impure materials, how then are we supposed to purify ourselves? Cut this out. You won’t lose anything. Instead, you’ll notice so much purity, light, serenity and peace entering your mind, heart and life instead. Try this at least for a week, and you will see the results. The need for this action is obvious – it is to basically avoid engaging in sexual activities outside the marital relationship, because marriage provides full rights, and a sense of settlement and security to both partners. It goes without saying that anything less than marriage is truly not befitting for men or women. For anyone to dedicate themselves, their precious emotions, time, thinking and physical being to someone who is not committed and can leave at any point… THIS is not fair or right. But there is something else, beyond the major act, that is worth our attention. The minute she saw him, she immediately told him to leave her because she didn’t want to allow even a second of an impure thought to enter his or her mind. The narration relates that after she said that, Angel Jibreel turned into his angelic form, the form that is made of light. Her purity brought out the light in him, the angel in him, subhanAllah. Really, the character of Maryam IS the real goal here. How can we guard ourselves in this regard? Think about the story mentioned above. Maryam was so conscious of her purity that she took action against anything that would jeopardize it. Now, reflect on what we do. When a sister speaks to a brother, or a brother speaks to a sister, what is our intention? Do we bring out the light, the taqwa and consciousness of Allah in them, or do we provoke the desires, the animalistic nature and launch the footsteps of the shaytan with them? 2. Guarding the chastity starts by guarding the gaze. So, it starts with a look that isn’t guarded properly and ends up as an act of impurity. Allah has given us instructions to find deep pleasure in the relationship between a husband and wife. The more we purify our gaze, the more we will enjoy our spouses, because there will hardly be any comparisons – our eyes, hearts and minds will be filled with our own spouses. The ‘look’ is something sacred and precious, and if it’s put in the right place, it will bring fulfillment to the heart and even count as an act of worship. And vice versa; if it’s put in the wrong place, it will increase the sense of emptiness and deprivation in the heart, and increase the sins. How many times do we hear: “the event will start at 6pm”, only for it to end up starting at 9:30pm? How many times do we say we’ll be there at a certain time, and show up late? How many times do we break our words, our trusts and our promises? What we don’t realise is: the word is extremely sacred in Islam and to Allah. This shows us how important our words are. Establishing honesty, trustworthiness and keeping our word are fundamental to our path and our relationship with the Creator and His creation. Remember, the Prophet(pbuh) was known as “al-amin”, “the honest, the trustworthy” before he was known as The Messenger of Allah. How can we be honest and trustworthy people? Set your intention firmly and have the mindset to work on being the one person (at home, in class, at work etc) that everybody can confidently trust and rely on. Just think twice before you make a promise. If you know you can’t keep it, or if there is a chance you won’t be able to commit to it, then inform the people involved immediately – they will appreciate your honesty. Don’t let them count on you, then break your trust. Be truthful when you make a promise, and be truthful if you can’t keep it. Have you noticed that the list started with prayer and ended with prayer? It started with the quality of each prayer, and ended with instructions on maintaining all prayers carefully as well. Making the conscious effort to pray on time and with concentration, will inevitably help with all the other tasks on our To-Do List. It will aid us in leaving useless talk; in purifying our souls and our wealth; in guarding our chastity; and keeping our promises and our words to people. For example, one would feel rather hypocritical to respond to the call of prayer on time, but show up late to other appointments. It also won’t feel natural to carefully recite the words of Allah that put life in perspective, then engage in absolutely useless activities. Getting the prayer right will inevitably make everything right. He warned us to guard our prayer, and if we do so and we’re conscious of Allah, then we won’t abuse anything or anyone whom we’re entrusted with. So, remember your Creator, and then you will be merciful towards His creation. So, how to help perfect our salah? The sunnan prayers (sunnah before and/or after fardh prayers and nawafil prayers) complement any shortcomings in our obligatory prayers. It is as though you get 70% in your final exam, but you have bonuses that could top your grade to 100%. This bonus is the voluntary prayers, and we want to maintain them to ensure we’re aiming for the top grade – the A+ that gets us to Al-Firdaus! He mentioned that we were created from clay (or mud). What is that? It is something that can be shaped and moulded. It isn’t a rock. It is flexible. We can’t be defeatist and think that we can never purify ourselves, because it is simply not true. Of course you can, we all can. It’s our very own nature to mould, shape and develop our characters. 2. There is another very important observation in the way Allah has used the Arabic language in these verses. The first ayah started with a past tense – “qad aflaha/ most certainly those Believers have attained true success”. The list then present the tasks we need to do in present continuous tense: “faa’iloon/working on purification”; “yuhafithoon/maintaining the prayers”; “mu’ridoon/staying away from useless activities”. This shows that if we are working on what is instructed in these verses, if we are sincerely and persistently engaged in this process, then we have already succeeded in the Sight of Allah! It is as if you are running, and the coach is looking at you and saying “You have already won”! You’re still running, but He is so encouraging and appreciative of your efforts that to Him, the effort itself is the true success. This is very generous of Allah. Imagine instead working for months on a mock-up to present to your boss/client, for example. After finalizing the entire mock-up, it somehow gets lost or damaged. Will the boss/client judge you on your effort over the past months, or on the fact that they haven’t received the final result they asked for? Imagine also studying all semester, then on the night of the exam you get very sick. You achieve very badly as a result. Thus, your effort goes to waste. But, with Allah, there is no effort that goes to waste! So, we should never give up as Allah is Guarding and Recording every effort. 3. Remember that this To-Do list is not limited to black or white, men or women, the rich or poor… It is not limited to any particular race, gender, social status or lineage. Any human being can work and achieve the best.